Are you searching for the best hearing aid repair that Green Valley AZ has to offer? Well, you’re in luck! Consider Sonora Hearing Care, LLC, Pima County’s leading experts when it comes to everything that has to do with your hearing. With 25 years of knowledge and experience in hearing health, we’ve got the know-how and skills necessary to improve your hearing today! When you first step foot in our friendly and inviting clinic, you’ll be met with smiles and attentive service. Not only do we specialize in hearing aid repair, but we love providing the best customer service as well. We take the time to really get to know our patients, including health history and personal interests. 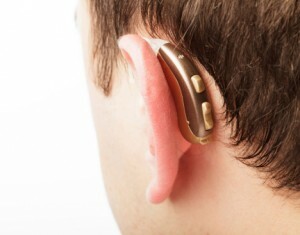 This helps us to decide what the best customized hearing solutions are for you. For instance, if you prefer to spend your time outdoors in the solitude of nature, you won’t be needing the same hearing aid as someone who spends their free time at loud rock concerts. We know how important it is to find a solution that works best for you. For those patients who already own hearing aids, there are a few steps you can take to ensure that your hearing aid will work properly. First, always remember to thoroughly clean your ears and hearing aid to prevent buildup. It’s important to also keep your hearing aid as dry as possible. Often, hearing aids may not work due to simple, easy to resolve issues such as a dead battery, or low volume. If these are not the case, you’ll know it’s time to contact your hearing aid professional – us! Sonora Hearing Care, LLC offers the best hearing aid repair and hearing aid programming around Green Valley AZ, so stop by our office today to see what we can do for you!